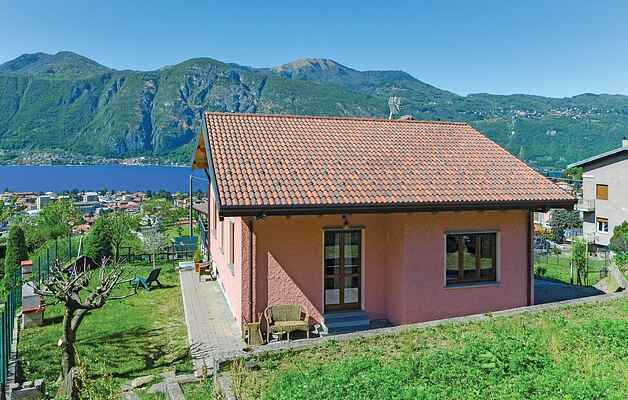 Holiday house at a few km from Mandello del Lario in panoramic position near the lake Como. The position of the house is ideal for excursions to the main touristic attractions in the surroundings and to the near mountains. The house is surrounded by a fenced property with garden, terraced meadow and paved area. Shaded parking on the property. Distances: the lake Como 1,3 km as the crow flies, 1,5 km Mandello del Lario (various shops), 2,5 km beach (gravel), 11 km Lecco, 14 km the characteristic village Varenna with embarkation to Bellagio and Menaggio, 45 km Como, 60 km Milano.